Learn more about osteopathic medicine! 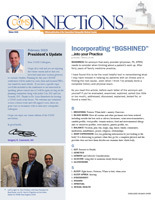 Download the Winter 2019 PDF newsletter or browse the online, interactive version (Flash required). Celebrate the fall season with the Connecticut Osteopathic Medical Society! Meet the COMS Board of Trustees and network with other DOs in the state. All COMS members are invited and welcome to bring a guest. Appetizers and beverages will be served. 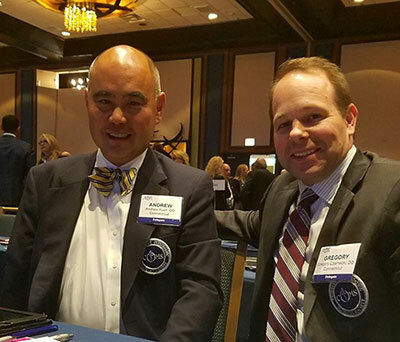 Representing Connecticut at the 2017 AOA House of Delegates are Andrew Yuan, DO (left) and Gregory Czarnecki, DO (right). Leaders in today's healthcare environment have to be ready for rapid change on numerous fronts. With those challenges in mind, leaders in the Osteopathic profession assembled in Tampa during January for the AOA's Advocacy For Healthy Partnerships conference. 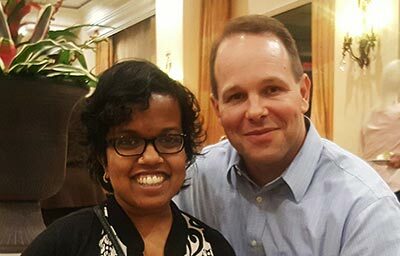 COMS was represented at the gathering by President Gregory Czarnecki, DO. The Connecticut Osteopathic Medical Society is a unique network of DOs that works to identify local issues and address common concerns of practicing osteopathic medicine in Connecticut. COMS is your Osteopathic voice in Connecticut. COMS supports DOs by enabling you to educate yourself and the public, advocate for osteopathic medicine and the health of citizens in Connecticut, network with others, and encourage students and residents, the next geration of osteopathic physicians, to choose Connecticut as their practice home. Not a member yet? Join today! For students and residents, membership is FREE. Discounted rates available for 1st and 2nd years in practice. Copyright © 2011–2018 Connecticut Osteopathic Medical Society. All rights reserved.